BRYAN EATON/Staff Photo. 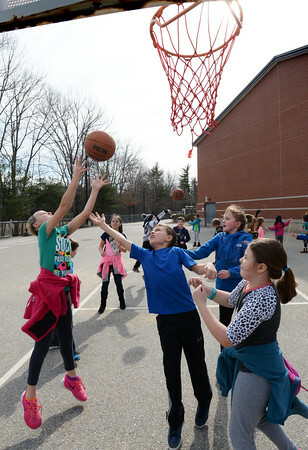 With coats tied around their wastes, youngsters at Salisbury Elementary School play basketball during recesss at noon Monday with a temperature of 63 degrees. The temperature stays warm through Wednesday though rain is forecast and Thursday goes back to a more seasonal 35 degrees with sunny skies.